I cracked open a 2006 Sea Smoke Ten for my birthday last night and I thought it was a great experience. 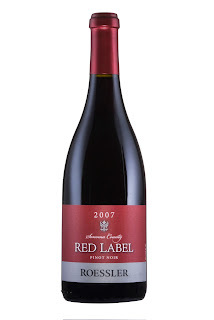 Extremely hard to find this wine reasonably priced in retail shops. I see availability at these locations but the vintage offered is unclear. Might want to call ahead if it's far away. Race you there? Side note: Why is the NH state store sophisticated enough to update per-store inventory on a nightly basis yet they don't list vintages on their website? Bizarre. I hear they also have some of this at Upper Falls. Be sure to ask- it might not be on the floor. Stopped in at the Wine Cellar of Stoneham this week to pick up a few cases of wine for my father-in-law's retirement party. I went with the always reliable Columbia Crest Cab and the Dashwood New Zealand Sauvignon Blanc. Great party wines each at $7.99. But I've really been impressed with prior vintages of Chappellet Mountain Cuvee and their pricing on the 2007 was the best I've seen around. I've been on the lookout for this wine for a while and despite its high production levels I don't see it in a lot of the shops I've visited lately. I was pleased to see this one but thought the older 2005 vintage was a bit strange (2007 would be more current). However, I was blown away by this wine- truly fantastic. I think the bottle age makes this a great wine right now. My tasting notes on Grape Stories here. Really liked the prior vintage so looking forward to trying this one as well. Great price and they've got the Angeline too so you can compare and contrast. I prefer the Annabella, but I'll write-up my thoughts on the confusingly-similarly-named Angeline soon. More about the 2007 Annabella here. 91 WS/$16 release price is an incredible QPR for Pinot Noir, but I was as impressed with it as Harvey Steiman from Wine Spectator. I'd rate it 87 points- my notes here. 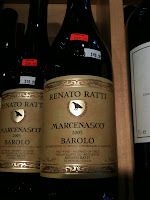 Great way to try Amarone without breaking the bank. Really enjoyed this wine- my notes here. While there, also check out the Ciglitui Dolcetto (love Ciglitui's Barbaresco but haven't tried their Dolcetto yet) and of course the bargain bins. Like hearing about finds like these? I'd love it if you subscribed the site so we can keep in touch. Or better yet follow me on Twitter to hear about short-burn deals before they're too late. Any other finds on your radar screen? I'd love it if you shared the wealth in the comments section. Have a great weekend. The other day as we were driving to Wine Riot I saw a billboard off the Mass Pike that caught my attention. It advertised the 2011 Hyundai Sonata which features 200hp, 35mpg, and costs less than $20k. With such great specs, I wondered why anyone would drive another car. There are some things we can learn about stocking a wine cellar from this- I wrote a piece on the subject on Corkd- I'd love it if you had a look. 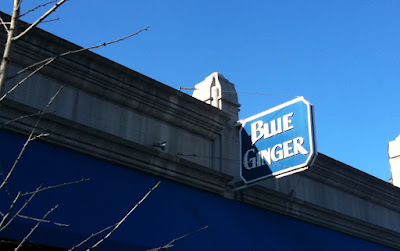 Typo in yesterday's blog entry about the Blue Ginger/Mulderbosch wine dinner. The correct date is Tuesday May 4th. By now you've probably heard of HR5034 which threatens direct shipment of wine to all states. Wine Spectator had a nice write-up on the topic. And here's a more recent update from Wines & Vines. If you'd like to voice your opposition of this legislation, which would almost certainly eliminate the possibility of direct shipping in most states especially Massachusetts click here to send a fax or E-mail to your state representatives. I did it- it takes less than a minute and it can help. Oh, and one late-breaking piece I thought was hilarious from Dr. Vino- an interview with Bobby Parkerchuk. 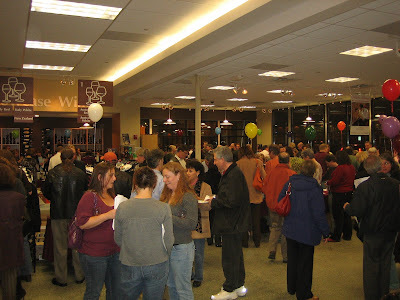 Question of the Day: Any weekend value plays or wine events you'd like to mention? The Centellino takes a bit of getting used to, but once you have the hang of it, it's pretty straightforward. I think guests who are wine enthusiasts would likely be interested in playing with it- those that aren't might find it a distraction. Like other bottle-top devices you tend to attach it to the bottle and leave it there until you're done drinking the bottle so if you tend to have multiple bottles open you'd probably want to have multiple Centellinos (else you'll be jockeying the device in and out of bottles). I like its one-handed operation. I like how it effectively measures a 5 ounce pour. If you're trying to limit your consumption to 1 or 2 glasses a night and you're pouring into oversized Bordeaux glasses it's easy to get carried away. That said, it takes a little while to pour each glass and if you're in the mood to "just drink the stuff" the theatrics might be unappreciated, as they would with any wine aerator. The product is made of glass which I consider a strength and a weakness. There's no chance of the wine picking up plastic flavors or aromas via contact but it's more breakable than if it were made of plastic. When cleaning the device, it's a little hard to get inside the Centellino so without a tool you're only able to rinse it with hot water. Over the last few months that I've been experimenting with it, I didn't notice any wine build-up so presumably the glass resists wine stains.Water tended to collect in the device as it sat and dried which gave me concern that musty aromas might develop over time if I didn't shake all the water out. That said, I didn't notice any problematic effects from small amounts of water remaining in the device after cleaning. The box it comes in is made of non-water-resistant cardboard and foam. Some competing devices have storage pouches/containers that seem more water-friendly so keep that in mind as you're shopping for devices. I'm a big believer in blind tasting when it comes to assessing the effectiveness of wine aerators. For each of these tastings, I poured 2 glasses- one through the Centellino and the other directly from the bottle. I then asked my wife to flip a coin and if it was heads switch the glasses, tails don't switch the glasses. Either way I asked her to move the glasses around so I couldn't tell or hear whether the glasses were switched. I first tried the Centellino with a 2007 Vietti Barbera d'Asti Tre Vigne. For me, the wine was rather closed-nosed and a bit harsh on the finish at this point in time- things I thought he device might help with. I thought the glass that went through the Centellino was slightly rounder and fuller on the palate, but the glass that did not go through the Centellino was slightly more aromatic. A tie. I then followed up with a 2004 Orlando Abrigo Barbaresco. I've been on a huge Barbaresco kick lately and again wanting to stay in Italy (to test this Italian-made device) I thought this would be a good test. Unfortunately, this particular bottle lacked elegance and was quite sediment-laden. Pouring it through the Centellino reminded me that devices like this tend to churn the wine and aren't really strong at removing larger particles from ending up in your glass. At any rate, I thought the glass that did not go through the Centellino was actually a little better. It was slightly more aromatic and felt rounder in the mouth. A slight edge to the non-aerated glass. While I can appreciate the Centellino's artistic design, my blind tastings haven't shown a consistent meaningful improvement to the aromatics nor mouth-feel of the wines I tested it with. I'll update this piece if I see better results in future blind tastings. If you're in the market for a wine aerator you might find this 7-way blind tasting comparison useful. Question of the Day: What do you think of the Centellino? According to the good folks at ShipCompliant, Massachusetts will not be appealing the January decision that freed up out of state wineries to ship directly to consumers in the Commonwealth. You might recall there being additional hurdles to jump before direct shipping becomes a reality. Things like per-truck licensing requirements for FedEx and UPS and per-consumer volume caps. There's been progress on this front as well. House Bill 317 and Senate Bill 176 have been merged into 4497: Regulating the direct shipment of wine. I'm pleased to see things moving along on this front but I still believe 4497 could use some work. The current discussion has been all about wineries, but retailers still wouldn't be able to ship in and out of the state. If retailers aren't mentioned as part of this set of changes, we'll continue to have a situation where in-state retailers are limited to the consumers in the state, and consumers can't buy online from out of state retailers. Better to get the laws right once and for all if you ask me and the right thing to do is open the state to legal shipment from out of state retailers. Failure to do so might lead to out of state retailers complaining that they're being discriminated against as compared to out of state wineries. Further, the state is missing an opportunity to increase revenue by taxing wine shipped from out of state retailers to consumers. 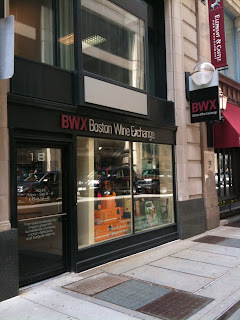 Let's free the grapes and allow wineries and retailers to ship in and out of Massachusetts. Further Reading: All of the stories we've done on wine shipping laws. Want to keep up to date on this issue? Subscribe to the Wellesley Wine Press and I'll keep you posted. Question of the Day: If you could only order wine from one out of state winery which would it be and why? On the cover of Wine Spectator’s issue on 2006 Napa Cabernet Sauvignons were 3 wines: The 2006 Kathryn Hall, a 2006 Schrader, and the 2006 Robert Mondavi Reserve. I thought the Hall was amazing (as I wrote here) and the 2006 Schrader was a wine I wrote about as being a $125 value wine. I recently had a chance to sit down and try the 2006 Mondavi Reserve Cab alongside two other vintages of the Mondavi Resreve Cab: 1994 and 1999. It provided a fascinating opportunity to try a wine of consistent quality across a number of years to assess what happens to Napa Cab as it ages. I met up with a couple of good friends at West On Centre in West Roxbury, MA last Tuesday night to try these wines along with food. The restaurant has a Bring Your Own Wine night every Tuesday night I highly recommend for wine enthusiasts. Make a reservation and ask for Lawrence as your server. The lamb chops were delicious. The '94 seems to be substantially more highly regarded than the '99 in terms of retail/auction prices and CellarTracker reviews. I thought both were outstanding and unique. The 2006 Mondavi is composed of 95% Cabernet Sauvignon and 5% Cabernet Franc. 91% of the grapes are from the famous To Kalon Vineyard. The wine aged for 18 months in 100% new French oak barrels. Red/brownish in color. Spice on the nose along with some menthol. An exceptionally smooth wine. Hardly any tannic bite to speak of, which depending on what you’re looking for could be a good thing or bad. Long, heartwarming finish. Delicious aftertaste. This wine is subtle greatness. Brighter and more similar to younger Napa Cab than the ’94. Less brown in color than the ’94- this one was more ruby-red. Enjoyed the grippy tannins in this wine, which were surprisingly present after 11 years. Complex nose. Surprisingly earthy. Wow. Beautiful stuff. Dark purple in color with classic Cab aromas of black currant and blackberry. Full of delicious flavor. Firm, chalky tannins. Stunningly good and surprisingly different than the prior wines. Delicious wine. One of the best Napa Cabs I’ve ever had. Alcohol levels. 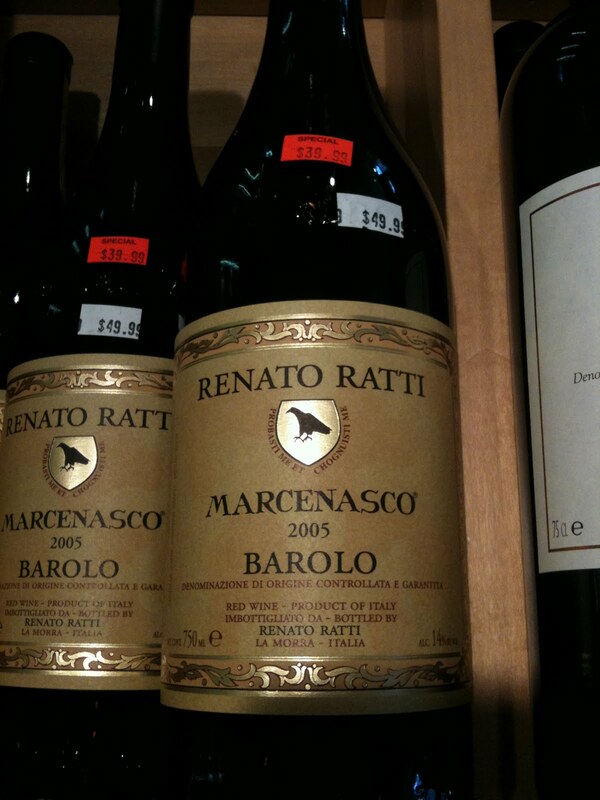 The upward trend in alcohol levels in this wine over the years (13.5%/14.1%/15.5%). Did this wine drive the trend? Or follow it? Aging. What does this tasting tell me about aging Napa Cabs for my palate? Branding. Would you rather have a wine like this that’s a top offering from a famous high production brand -or- a wine that’s at the entry level of a smaller producer? Does the answer change depending on the occasion? I'd like to come back and talk more about each of these subjects in future blog entries. The 2006 was a sample for review. Question of the Day: What do you think of Mondavi's Reserve Cab?